Homepage / bitcointalk / Will your Internet work as an add-on over an existing one or as an independent one? Will your Internet work as an add-on over an existing one or as an independent one? 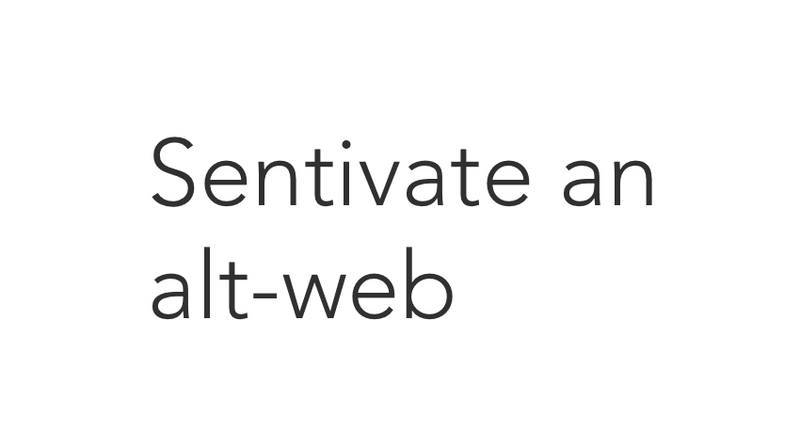 Sentivate is an independent Web from the existing world wide web. Sentivate has its own Domain Naming System, rule set, protocol, browsers, front-end libraries, servers and overall design. This fracture away from DNS puts it into its own “Web”. The question is a typical confusion we hear. The web we have today in which we type facebook.com and go to the website relies on a system known as DNS. This takes human readable names and grabs the associated record and returns it to you which points to an IP address. This handy thing called DNS is actually a huge aspect of the web. Without a system like it you couldn’t type in human readable names and arrive at your destination server. You would be left to IP addresses only. The web is not just the cables that run in the ground it’s much of the software that it relies on. Most folks we hear this from assume in order to have an alternate web that this must mean you would need cables and all sorts of hardware. This is an incorrect assumption. All one needs to do in order to create an “alternate web” is to create your own independent Domain Name System with your own records; ETC. Another thing that makes the web what it is today is the data transport protocols & encryption layer being – HTTPs which is a TCP based protocol. Sentivate uses the exact same infrastructure but we have plans for adding additional devices and hardware to the network. However, the additional hardware is not required but would be ideal for the full vision. Another main point which automatically puts it onto a separate web is its data transfer protocol being based on UDP instead of TCP. This obviously points to the fact that it doesn’t use HTTP/s. Sentivate’s protocol is UDSP, based on UDP instead of TCP like HTTP. What happens to SNTVT after the Viat swap?